[WASHINGTON, DC] – U.S. Senators Richard Blumenthal (D-CT) and Joe Manchin (D-WV) introduced a Senate resolution to recognize military working dogs and their soldier handlers who served in the U.S. Army’s Tactical Explosive Detection Dog (TEDD) Program. The resolution also encourages the Army and other government agencies with tactical explosive detection dogs to prioritize adoption of these dogs by their former handlers. More than four years after the TEDD program ended, many of these dogs and handlers have not yet been reunited. Military working dogs (MWDs) are highly effective in detecting improvised explosive devices (IEDs) that can be otherwise difficult, if not impossible, to find. 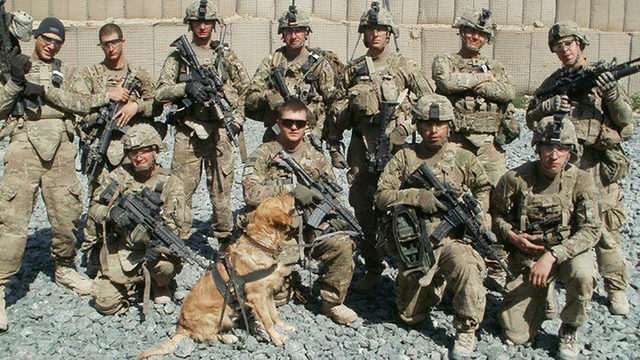 The bravery of military working dogs was highlighted last month in Afghanistan, where Maiko – a MWD supporting Army Rangers from the 2nd Ranger Battalion, 75th Ranger Regiment, out of Joint Base Lewis-McChord, Washington – died after saving the life of his handler and other Rangers. “Military working dogs have been an important asset to service members for generations. Not only do they help protect service members, they are a morale booster to those who serve in some of the most difficult, war-torn places in the world. These dogs and their trainers and handlers deserve our utmost respect and gratitude,” said Manchin. Blumenthal, a member of the Senate Armed Services Committee, has long been a champion of military working dogs and has secured provisions in both the FY 2013 and FY 2016 National Defense Authorization Acts to ensure these dogs return home and to prioritize adoption by former handlers when they retire. The full text of the resolution is available below. Title: Recognizing the honorable service of military working dogs and soldier handlers in the tactical explosive detection dog program of the Army and encouraging the Army and other government agencies, including law enforcement agencies, with former tactical explosive detection dogs to prioritize adoption of the dogs to former tactical explosive detection dog handlers. (4) honors the sacrifices made by tactical explosive detection dogs and their soldier handlers in combat. This Resolution can be viewed at https://www.congress.gov/bill/115th-congress/senate-concurrent-resolution/58/text. Currently in production!! TEDD: Broken Promises. Here are some of the Army handlers who will be featured in the documentary – more to come! “It was an honor and a privilege to hear their stories.” — Producer/Director Manny Oteyza. Thank you for continuing to support our handlers, Congressman Richard Hudson! “I’ve been screaming and banging on the desk saying, ‘This was wrong. It was mishandled,” Hudson said. Hudson now says he wants to question the secretary of the U.S. Air Force. The February 8, 2018 DOD OIG newsletter has listed the Army’s TEDD Disposition Process evaluation as a significant report to be issued in the next 30 days! We will post the report as soon as possible.